Clinical excellence and innovation—this was the theme of St. Luke’s Medical Center Global City’s (SLMC-GC) celebrations, of having successfully performed over 500 robotic surgeries since the program’s inception in 2010. 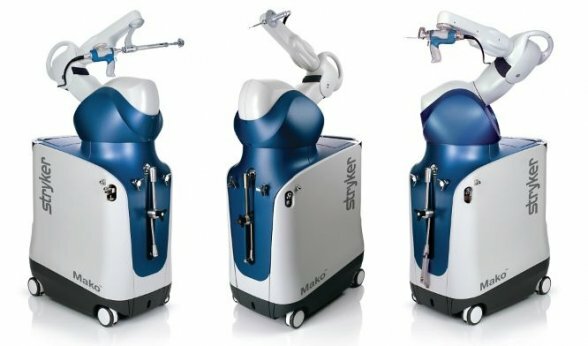 March 17th 2016: St Luke’s Global City announced that they have been able to help over 500 surgery patients achieve better clinical outcomes and faster recovery with robotic surgery. “You always have to look into innovation”, stated Dr. Arturo Dela Pena (photo left), the medical director, in his opening speech about St. Luke’s continuous improvement of services geared towards giving patients the best possible care. Based on the success rates, St. Luke’s Global City has proven itself to be on par with other institutions abroad that offer robotic surgery, according to Dr. Narciso Navarro Jr., the head of the department of surgery. This event was initiated and sponsored by Transmedic as part of the company’s commitment to furthering the robotic surgery program in SLMC-GC. Over the past 5 years since the program’s inception, Transmedic has developed a strong partnership with SLMC-GC’s management and clinical team. This is mainly because of the alignment of goals between the company and the hospital— which are to cultivate a growing robotic surgery program with da Vinci surgery, maintaining the best clinical standards thus providing the best patient outcomes. During this event, a number of outstanding individuals were recognized for their contributions to the growth of the robotic surgery program. Dr. Dennis Serrano, head of Robotic Surgery in Urology, was given the Dedication Award, for exemplary commitment to good patient outcomes and outstanding service to the robotic surgery team and program. Dr. Jason Letran, uro-oncologist, was awarded Fastest Climber for the remarkable achievement of having performed 26 robotic surgeries in 2015, the highest number of robotic surgeries done by a single surgeon within a year in the history of St. Luke’s Global City’s robotic surgery program. Dr. Jennifer Jose, head of Robotic Surgery in Gynecology, was presented the Trailblazer Award, for being the 1stsurgeon in the Philippines to have done 100 robotic surgeries. Through this extraordinary achievement, she has made her mark in the Philippine surgical practice, proving that robotic surgery is in fact a viable option here in the Philippines despite barriers like cost, because of the superior clinical outcomes it offers. The last award was given to distinguished individuals who have collaborated in the pursuit of a single goal — to deliver the best patient care. The SLMC-GC Robotic Surgery Nursing Team was given the Dream Team Award in recognition of their exceptional service and remarkable dedication to the program. This was received by Ms. Odella Antonio, head of the Operative Care Cluster, on behalf of the team. The event marked another chapter of the evolving robotic surgery program at St. Luke’s Global City, as the addition of another service and group was announced. This group is the robotic thoracic surgery team, comprising of Dr. Edmund Villaroman, Dr. Karlos Aleta, and Dr. Mariam Delima, and had performed the first robotic lobectomy in the Philippines last January 14th. As the program drew to a close, Dr. Jeffrey Domino, pioneer of the Minimally Invasive and Robotic Surgery Center, congratulated all the members of the robotic surgery team for their commitment to bringing better patient outcomes with MIS. He also introduced the new head of the MIRSC, Dr. Ray Sarmiento, who promised to continue to improve the MIS service at St. Luke’s Global City and provide the best clinical results, safety, and satisfaction to their patients.